As a book reviewer I can say, I am blessed to have had the opportunity of not only reading some amazing works but also having the chance to speak to them, know their story and share it with their world. Couple of weeks ago I had received an email from Pragya requesting me to review her poetry collection. What struck me the most about her email was, her story and that is exactly what made me say yes because someone who has been through such an interesting journey so far will definitely have a lot to say. And I wasn't disappointed at all. You can make that out from my review HERE about her work. 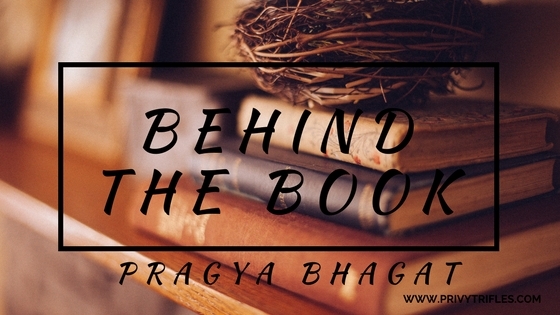 To let you know more about her, Pragya Bhagat was born in New Delhi, but spent her childhood in five different countries. At the age of fifteen she immigrated to America, where she studied Biology at the University of Texas at Austin. After graduating, Pragya taught science to sixth and eighth grade students at KIPP Austin College Prep.Volunteering with the survivors of the Bhopal Gas Disaster drove her to shift back to India after a decade in America. She lived in a Rajasthani village for six months and completed her Masters in Social Work from the Tata Institute of Social Sciences. 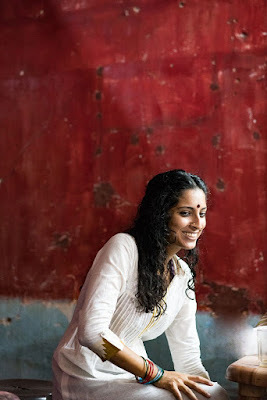 Pragya spent the next three years working with Teach for India in Hyderabad. Her work has been published in The Hans India, The Open Road Review, Muse India, the Huffington Post, Helter Skelter, the Bombay Review, and The Better India. She has performed her poetry across India and America. Currently, Pragya lives in the hills of Kumaon, writing. After reading her book I knew I wanted to know more about her, in a process to not only inspire myself but also other fellow readers and aspiring writers. So here it is, in conversation with her about writing and all things close to her heart. 1. To begin with I would like to thank you for sparing your time for us and extend a warm welcome to the blog. Can you please share something about your journey so far? Thank you for your warm welcome, Namrata. Writing is not my passion or hobby. Writing is my work. Here, there are no promotions, no salary hikes, only bursts of validation that are far and few. That you’ve noticed my work, that you care enough to probe further, is heartening. Validation is always nice. 2. Your journey is very inspiring. Education in Biology and social work, performing poetry and now living amongst the hills. The perfect life for a writer, secluded and away from the chaos. Did you always want to be a writer? What inspired you to pursue this? For as far back as I can remember, my journal has been my therapist (paper is a more patient listener than people could ever be). So writing has always been a habit, but for nearly two years I’ve been pursuing it as a skill. Stories – reading them, writing them – have been the one constant in my erratic lifestyle. Which is why the decision to write full time was not a difficult one to make. That I could move to the hills and devote my time to it is a privilege made possible because of my education and past work. 3. What does a typical day in your life look like? You have a writing schedule which you stick to or you write whenever inspiration strikes. Please share some insights, especially to inspire all aspiring authors. Also, curious to know how you battle the demon called “Writer’s block”. I live in a village with my partner who is also a writer. After yoga and breakfast, we write for four hours, eat a snack in between, write some more, and go for a walk in the evening to buy groceries for the next day (we don’t have a fridge). After an early dinner, I spend my evenings with a book or a movie. If the internet is particularly fast that day, I spend unhealthy amounts of time on Facebook. I’m usually asleep by ten. It’s an unexciting life, but I wouldn’t have it any other way. Some days are not as productive. The biggest block is picking up the pen, and on some days, that’s a very hard thing to do. I still have a long way to go as a writer, but if there’s one mantra I’ve learned to live by, that I remind myself of daily, it’s this – get used to rejection, because you’re not as good a writer as you think you are. 4. Your poems have certain rawness in them. Raw emotions ranging from pain, love to despair. How difficult was it to bring it all out on paper? Strangely enough, it’s easier for me to write about my issues than talk about them. Perhaps this is because I’ve been doing it since I was seven, because I’ve been sorting the complexity of my observations and emotions with notebooks instead of with people. Sharing myself, my inner self, connecting with people doesn’t come easily. Writing builds a bridge which enables that connection. 5. It is largely considered that poetry doesn’t have a readership in India because of which we see less Indian poetry books in the market and hear lesser about Indian poets. What are your thoughts on this and how has been your experience so far while you have been a performing poet. 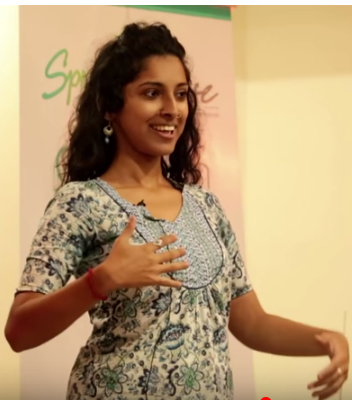 I’m glad that spoken word poetry – in Hindi and English, mostly – is picking up in urban India, but as an art form it is still in its infancy. While people are going to open mics and putting their stuff up on Facebook and Tumblr and YouTube, they’re only willing to pay if the performer is well known. In our modern, very virtual world, being well known usually requires going viral. My hope is that the Indian audience grows to appreciate a poet’s work instead of her/his social media presence. The reading and exploration of poetry, however, is far from mainstream. Though book sales are a struggle, I’ve made my peace with it. If people like my work, they’ll buy my books. It’s that simple. So my focus is on creating good work. 6. Any particular writer or poet in specific who has inspired you the most in your writings. 7. Do we see you experimenting with genres in future? What are you working on currently? Any future projects you would like to share with us? Poetry and creative nonfiction are my primary areas of interest. My next book, Yarn, is a memoir about my family with a focus on the women, particularly my grandmother. It will be published by Bombaykala in 2018. 8. Some words for your readers. Check out my work. If you like what you read, tell me. If you don’t, tell me. Either way, I urge you to read, to soak yourself in stories, to look for stories around you and within you, to talk about stories, and to write stories of your own.